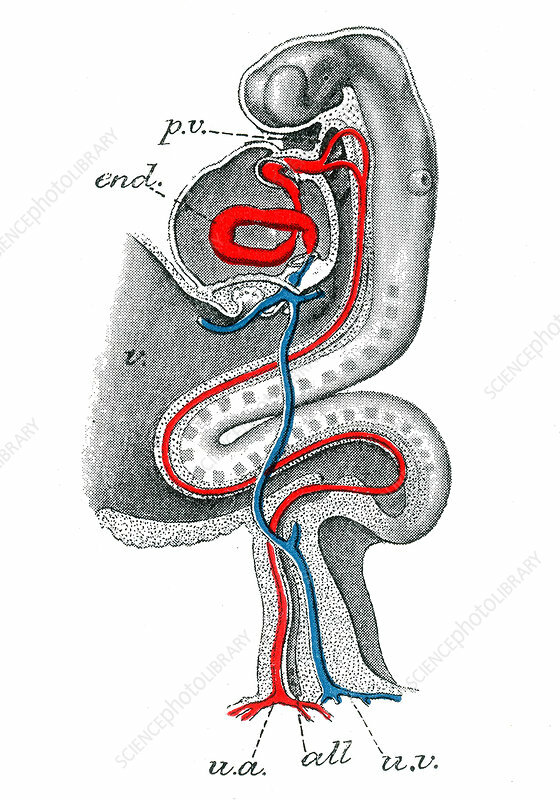 Profile view of human embryo of about 15 days with the alimentary canal in longitudinal section. Two arterial arches are formed at this point. Jones Quain (November, 1796 - January 31, 1865) was an Irish anatomist, professor of Anatomy and Physiology in the University of London, and author of Elements of Anatomy. The first edition was published in 1828 and it quickly became a standard text-book in English-speaking countries.